In the magnificent setting of one of the most beautiful landscapes in Italy, among the Chianti vineyards, hills of blond wheat and rows of cypress trees, stands Castel Monastero, a medieval village dating back to the eleventh century. 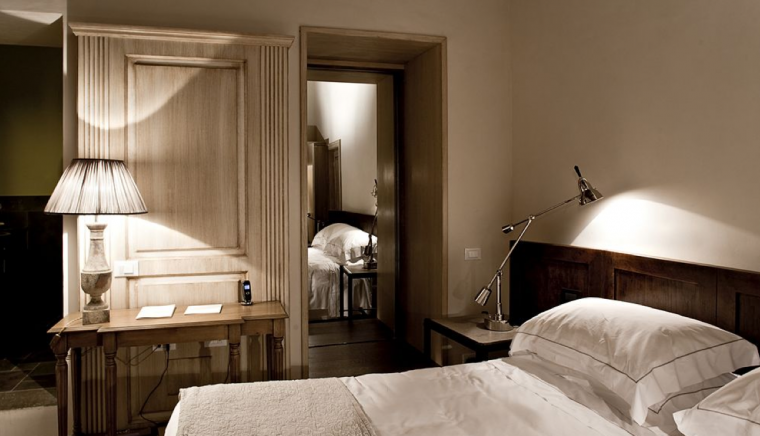 Among these centuries-old walls, rooms and suites are offered with rustic elegance to the visitor, who will have all the services of a luxury resort: SPA, bar with outdoor terrace, tennis court and two restaurants: the gourmet restaurant "Contrada" where to taste the refined cuisine of the chef Aniello Cassese and the Tuscan restaurant "La Cantina" where to delight with the local specialties and the best regional wines. 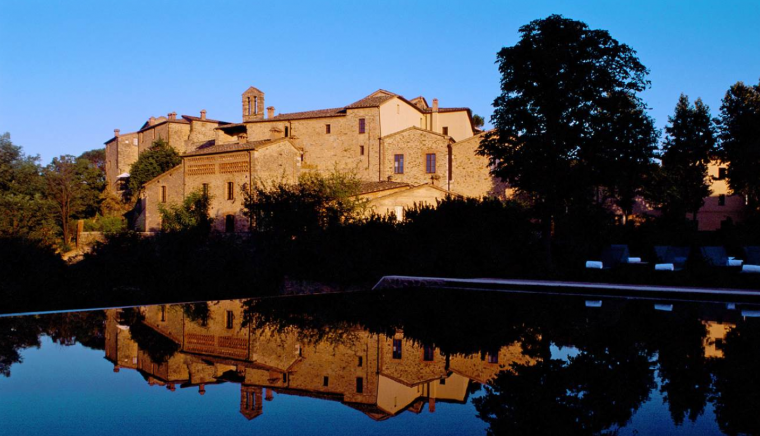 In the famous Valle dell'Ombrone, about twenty kilometers from Siena, stands Castel Monastero, in an intact medieval village of the eleventh century, known centuries ago as the Ombrone Monastery. 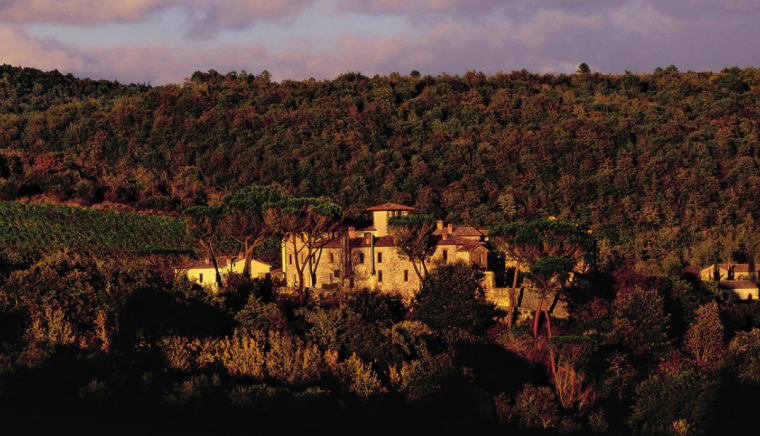 Dominating the landscape are the Chianti vineyards, wheat hills, rows of cypress trees and ancient chestnut forests, a unique setting in the world where today, among these ancient walls, once home to the Sienese family of the Chigi Saracini, find space 76 between rooms and suites and the villa of Castel Monastero that pay homage to the harmonious elegance of the ancient Tuscan residences. 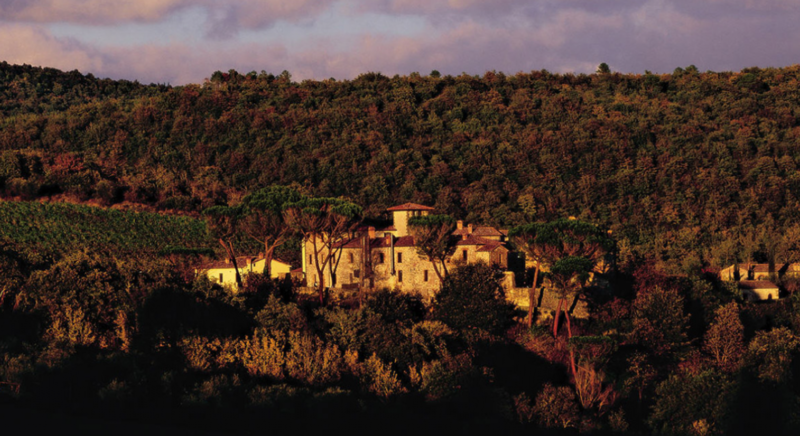 The resort complex is surrounded by greenery and from each room you can contemplate a spectacular view of the vineyards and olive groves of the ancient fort. 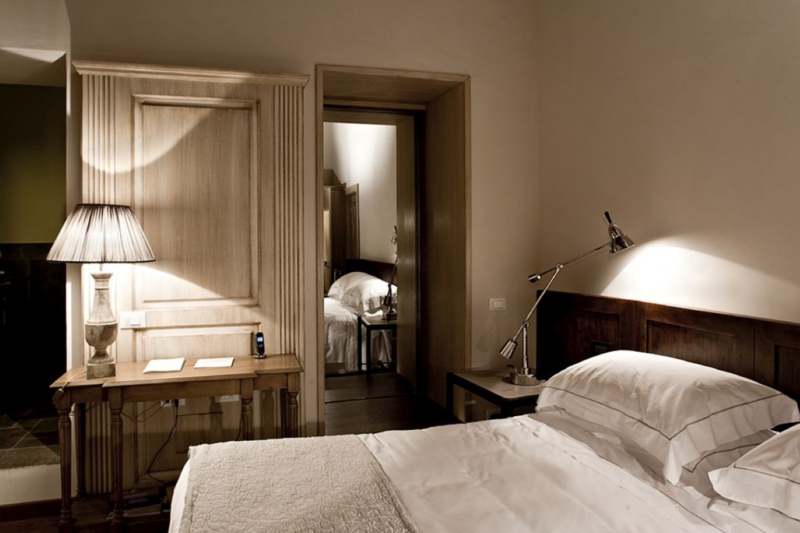 The villa enjoys a unique view of the medieval village and avails itself, upon request, the services of a private chef and butler. 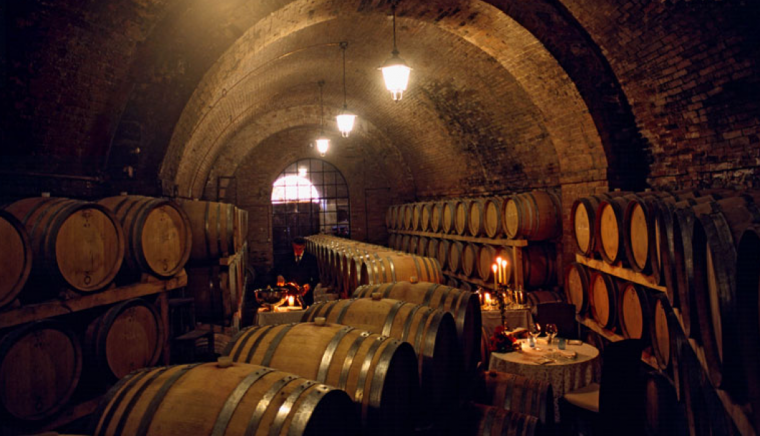 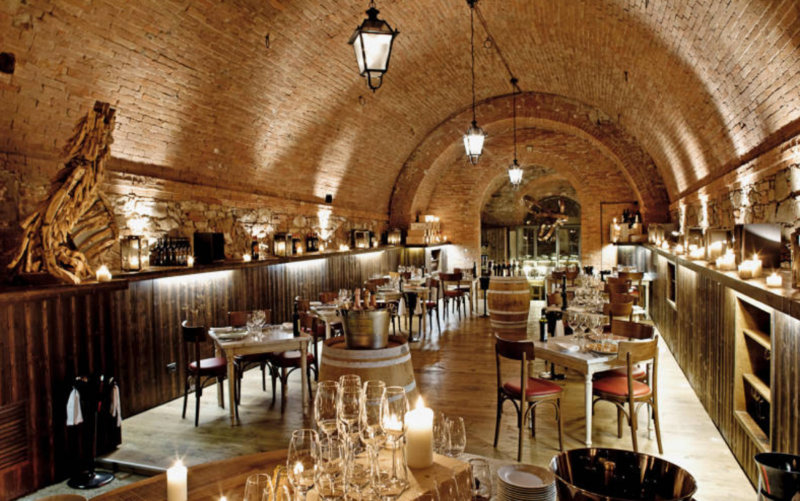 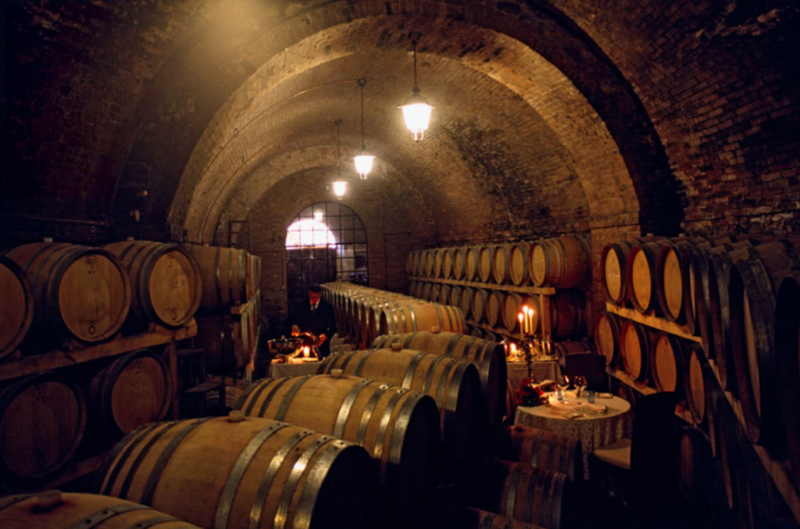 In the 1200's cellar of the manor, in rooms with high vaulted ceilings, there is an excellent Wine Bar where guests can taste the Tuscan specialties and guided by expert sommeliers, the best wines, including the regional ones and the Chianti vintages produced and aged in the Castello winery. 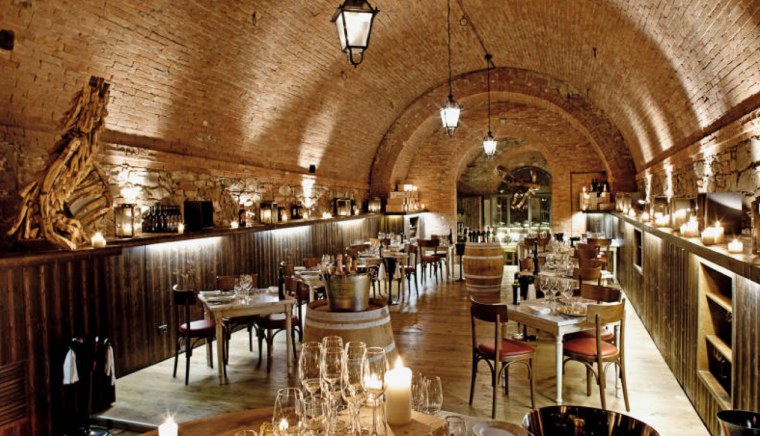 The gourmet restaurant "Contrada", in collaboration with Gordon Ramsey, winner of 10 Michelin stars and under the direction of executive chef Nello Cassese, will be pleased to impress guests with the best dishes of Tuscan gastronomy, known for its genuineness and goodness of his recipes. 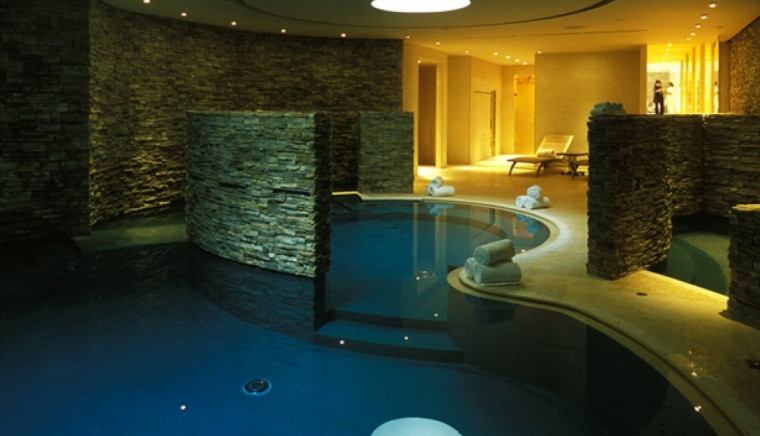 Two other bars, for pleasant breaks during the day, are present on the square and next to the two swimming pools. 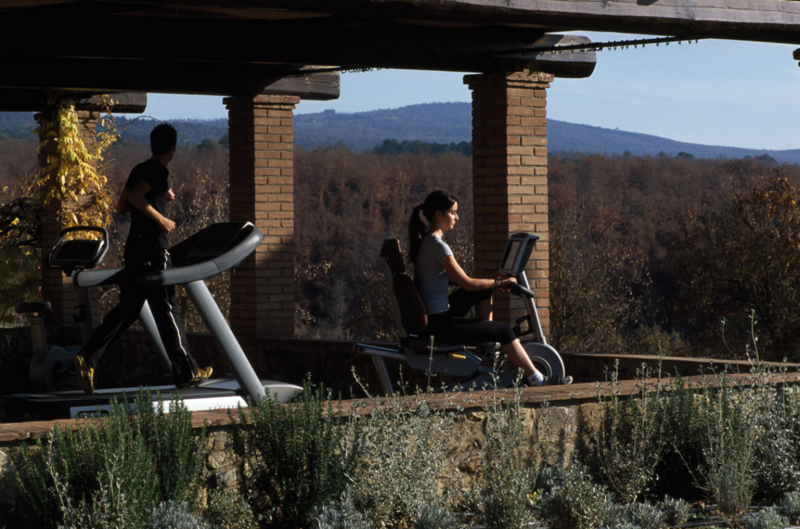 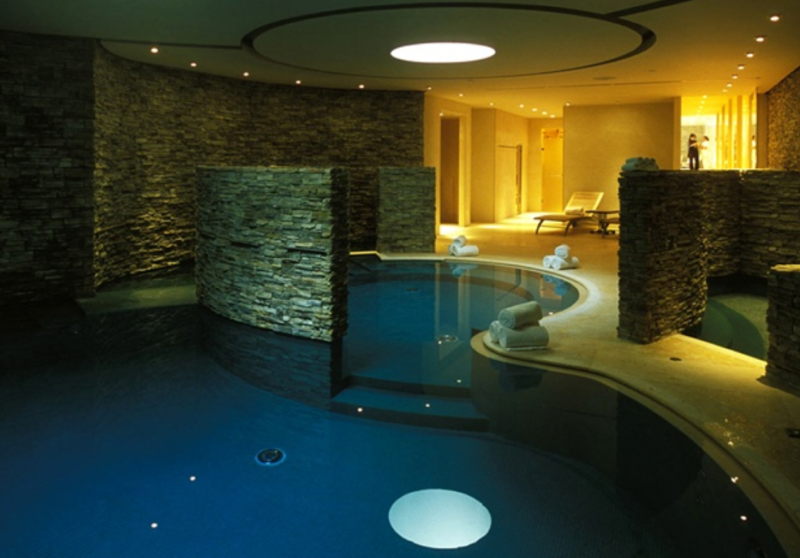 The SPA of Castel Monastero is located inside two charming farmhouses, a symbol of Tuscan architecture. 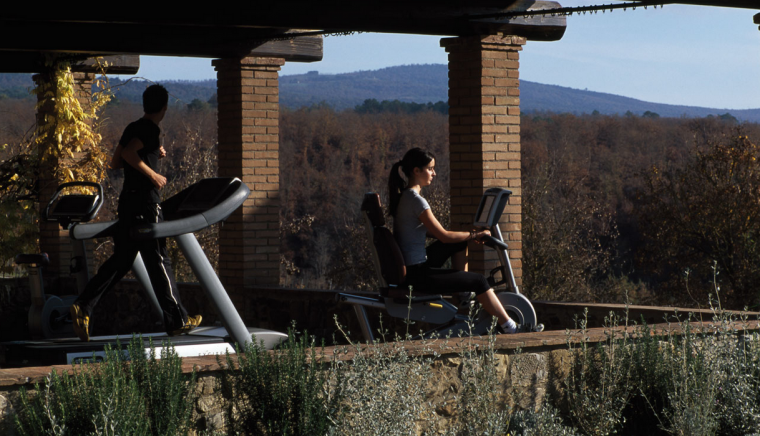 A thousand square meters of rock walls and huge windows overlooking the village, where you can discover the most innovative wellness treatments, designed for guests by the experts of Urban Retreats. 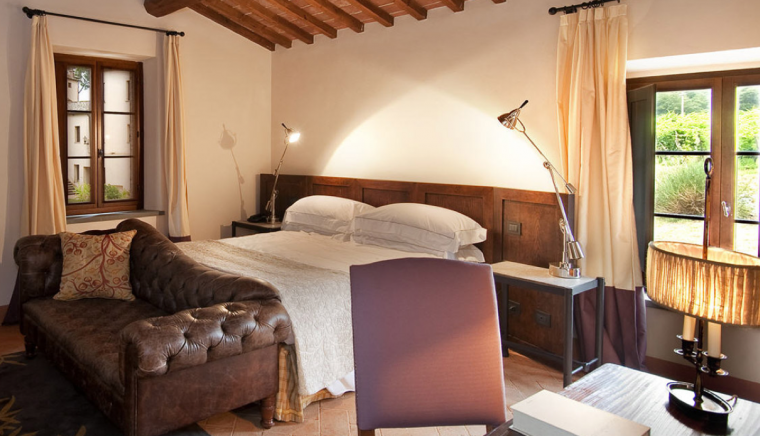 This is the perfect setting for a holiday to discover the most authentic Italian culture, a romantic honeymoon or a wedding celebrated in the intimacy of the small church within the walls of the Resort. 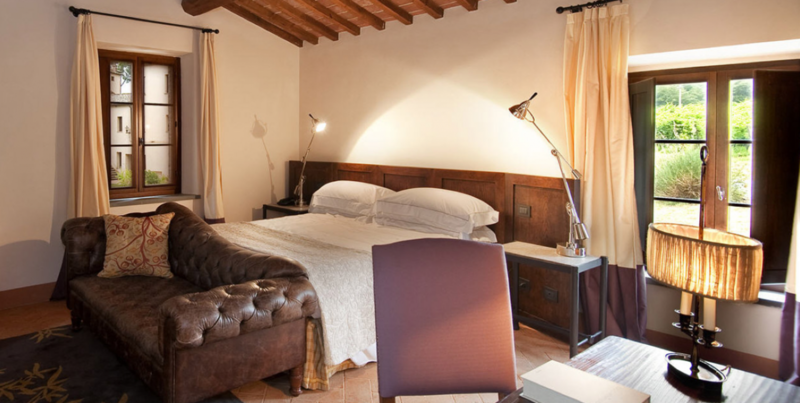 Among the many services offered we can mention balloon rides, organization of cultural and gastronomic tours, tennis court, cooking school, personal shopper, bike excursions among the wonders of the Tuscan countryside.